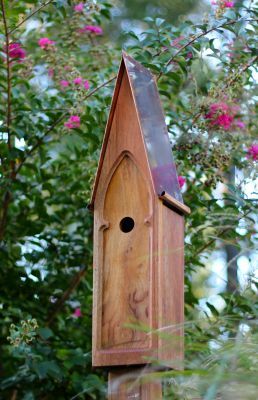 Beautiful spare design makes this USA made bird house an American Classic. Mahogany wood topped off with a brown patina copper roof is a masterpiece! 1 1/2" hole, ventilation, drainage and clean out all built in.